Hi everyone! Now that the holidays are over it's time to get back into the normal routine of things and one of my favorite things is the Disney Blog Hop hosted by Lisa at Babes in Disneyland. I have been very fortunate to meet some wonderful friends through this blog hop, if you are a blogger I suggest you join us. The theme this week is "What are you looking forward to most in 2012?" I really had a hard time with it, you see I'm not planning a trip this year. 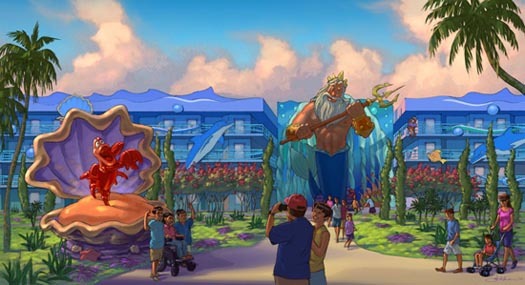 I am excited about everything happening at Walt Disney World with Fantasyland and the new Art of Animation Resort. But to be honest, the biggest Disney thing in my life right now is this blog, and I am very excited about joining with my daughter, Ashley to bring you Disney Party Boards. We had our first post this week with a Pixie Hollow Party Board. Next week we are going to bring you a Jake and the Never Land Pirates Party Board. If you would like to suggest a party theme or have questions about hosting a party of your own please leave a comment below. One of my greatest passions is researching and learning more about the history of Disney, in fact if I had to choose between a free trip to Walt Disney World or a free trip to the Disney Family Museum, I would probably choose the museum. I love reading about everything Disney-the company, the legends, the movies, the theme parks. You will be seeing a lot more posts about Disney History here at Disney Donna Kay. I hope you will enjoy them as much as I enjoy bringing them to you. Thanks Lisa for bringing us this hop each week, I have found many great blogs through The Disney Blog Hop, as well as some great friends. Be sure to visit everyone on the blog hop today and leave them a comment, even if it's just to say "HI!" If you are not already a member of the group, The Disney History Institute on facebook...you must get over there and join now!! So glad the Disney Blog Hop is back!! Thanks Lucinda! I just asked to join the group. Disney Blogs are very important Disney things! I am really looking forward to your Disney history posts. I'm fascinated with the subject too. Thanks Melissa, i just love trying to find new things about Disney. thanks Lucinda for the Disney History Institute link, I hadn't seen that facebook group before now. The Disney History Institute link was great. I just read and soaked a lot in yesterday afternoon. Did you say Mad Hatter Tea Party?!? Alice is my favorite! DisKid #1 is already planning her tea party birthday for later this year. I'll be counting on you for ideas! LOL! I promise there will be lots of Mad Hatter/Alice ideas, Ashley is so excited about having this party. It's just so fun and colorful.